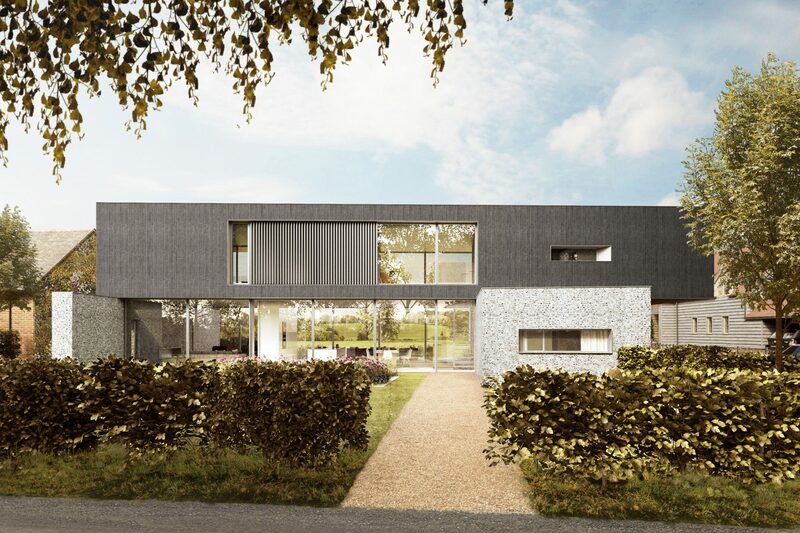 Re-Format has been granted planning permission for a contemporary dwelling set amongst open fields and farm land in the Hampshire countryside. 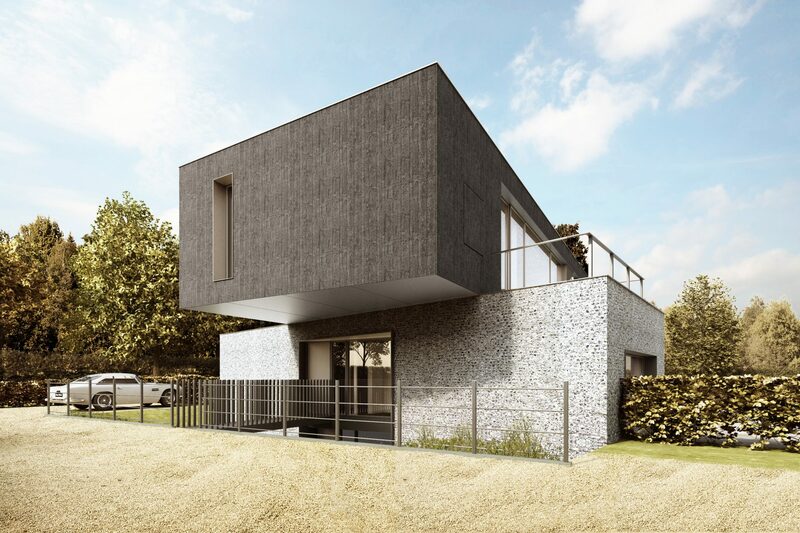 The concept of the scheme has been informed by its agricultural setting with a timber-clad barn form placed over a masonry plinth and screening wall. 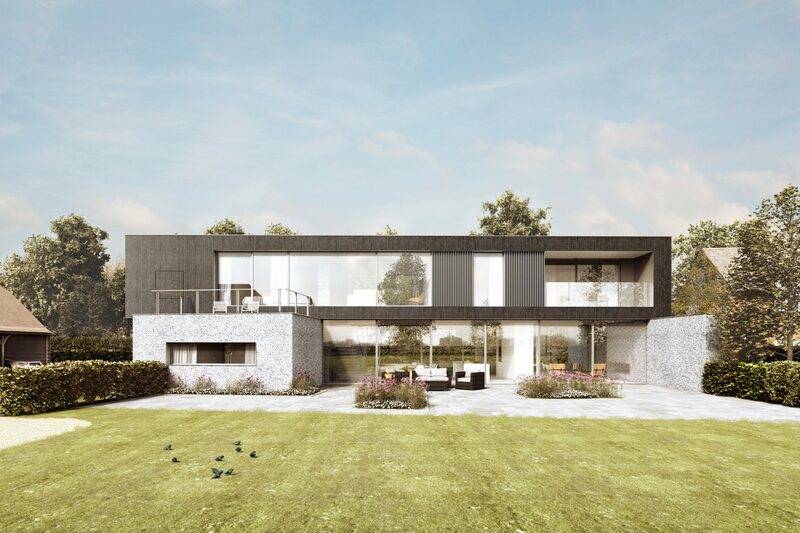 A simple transparent space is created between the elements allowing views through from the fields to the landscaped front garden.